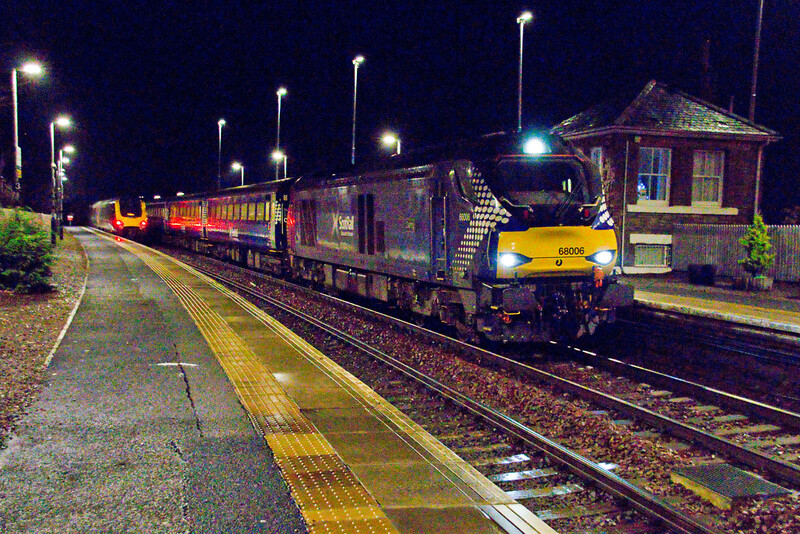 68006 with 2K14 18:15 Glenrothes - Edinburgh at Aberdour, 22nd December. 60056 passing Aberdour with 6B32 16:52 Aberdeen Craiginches - Oxwellmains, also on 22nd December. 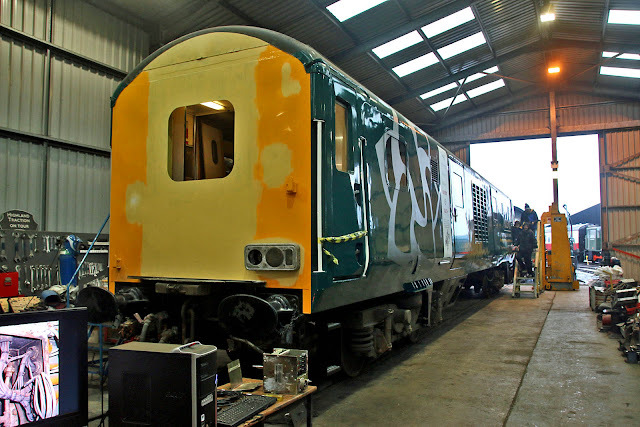 Artemis, part of Mitsubishi, have installed a digital displacement hydraulic pump to run the ancillary hydraulics on a ScotRail Class 170 dmu - which is not yet identified. 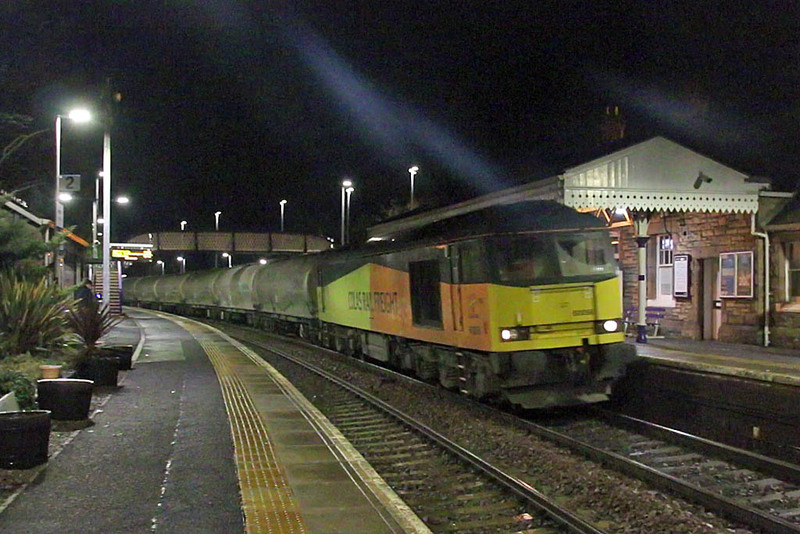 Meanwhile here is the shunt end of 82113 / 19001 at Bo'ness for Artemis. "A spokesperson for ScotRail described the practice as “very rare” and said it was only done to limit disruption elsewhere on the network, but critics believe stops are being missed to hit punctuality targets." Greenhill, Larbert North, Carmuirs East and Grangemouth Junction to close after work on 24th - 27th December. Larbert North (seen in August), opposite a Network Rail training centre, understood to be retained for training purposes. On the remaining semaphore signals in Scotland.